First wash and cut Broccoli into medium sized pieces. Heat 2 cups of water in a pan. Add 1/4 tsp of salt. When water comes to boil, put broccoli pieces into boiling water. Boil it for 2 minutes and switch off the flame. Now heat a frying pan. Pour oil. When oil is medium hot, add broccoli pieces and stir fry for 2 minutes. Now add salt, mix well and switch off the flame. Now squeeze 1/2 slice of lemon over it and mix well. 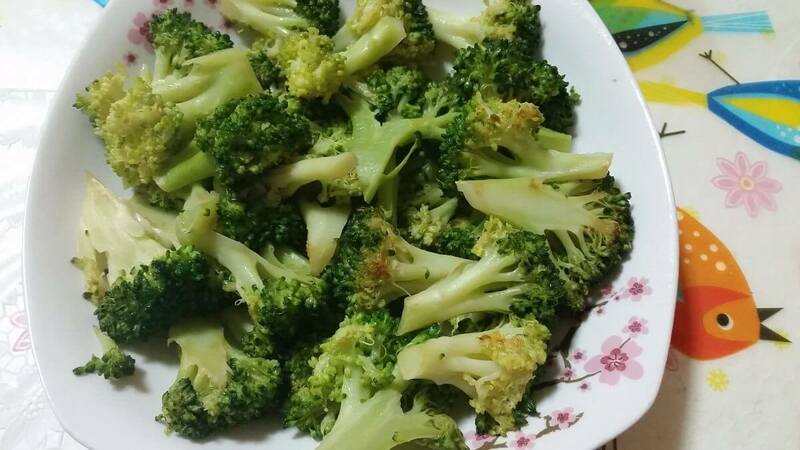 Healthy and tangy Broccoli is ready.